My Cabbage to Clover exhibition at Hugh Fearnley-Whittingstall's River Cottage Canteen Bristol is currently running. You are welcome to pop in and buy a coffee or drink at the bar and take a look even if you are not staying for a meal....(although the food is very nice so I would recommend it!). Their are prints both upstairs and downstairs. You are invited to a special viewing of my prints At River Cottage Bristol on Saturday 17th February 2018 from 12 - 5. 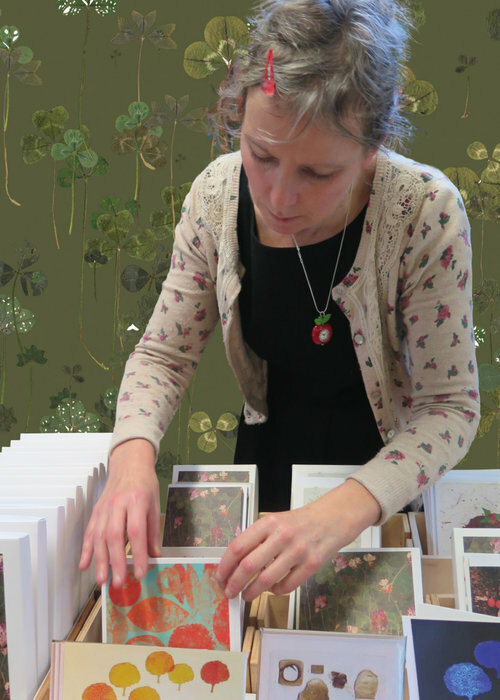 Alongside my prints I will be showing my pressed clover collection, orange peel trees, and artist books. There will be a range of unframed prints, greetings cards and postcards for sale too. I hope to see you there. I took part in the Made In Bristol Gift Fair on Saturday 2nd December 2017.